﻿ Repainting - Page 18 - Smr Simple! Thanks Burlington_Northern_3140, I have been away and just now am getting back. 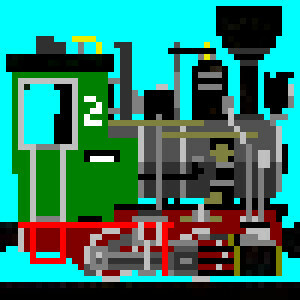 I will add the FEC engine to the F/G update. Three new ATSF Patches. This will need renaming to work in a map. dwax wrote: Whats a large fuchsia colored engine? And why is it larger? Have you applied the Tender Mod? it scales down the trains, and some trains have problems as a result(I had to re-install tenders due to giant traincars).